"One of those rare talents that you wish to every organization that wants to make a difference." 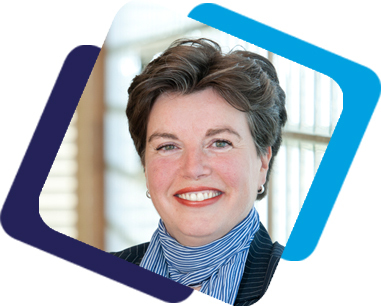 Margot Nijkamp, owner of Red Bluejay Foundation met John in 2011 during the Dutch Creatives competitions. There was an instant 'click' between Margot and John. A joint passion for life and collaborating with great people birth a great working relationship. 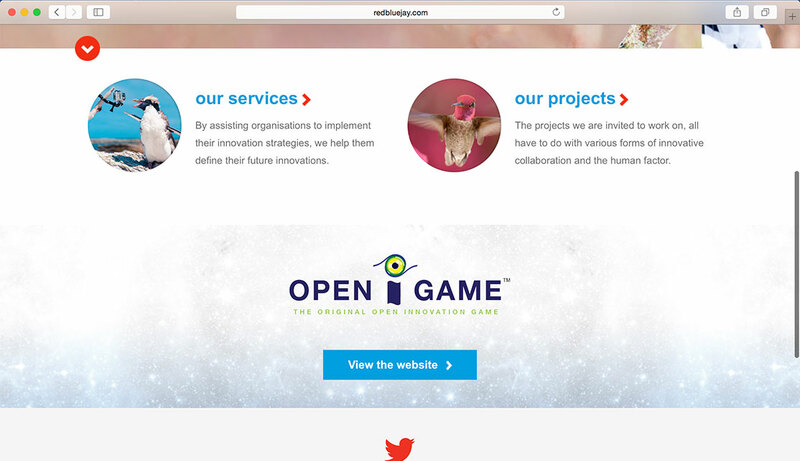 Red Bluejay Foundation assists organizations with their innovation culture by generating new ideas and advancing knowledge exchange in Open innovation and Co-creation. In 2013 Margot approached Antonio Media to redesign and develop Red Bluejay’s website, after all a great company deserves great representation. The challenge lied in the amount of content that was allowed to be published, while still showcasing the great skills and culture of the company. While smart phone and tablet usage was at an all time high, the website needed to be responsive and user friendly on any device. Red Bluejay was in need of communicating their unique set of skills to the world and we were ready to be of service. We started with an in-depth study of the existing website in order to bring all improvements points in perspective. Followed by a few creative sessions with Margot to pinpoint the vision and goals of the website. We looked at the use of colors, fonts, icons, pictures and more. 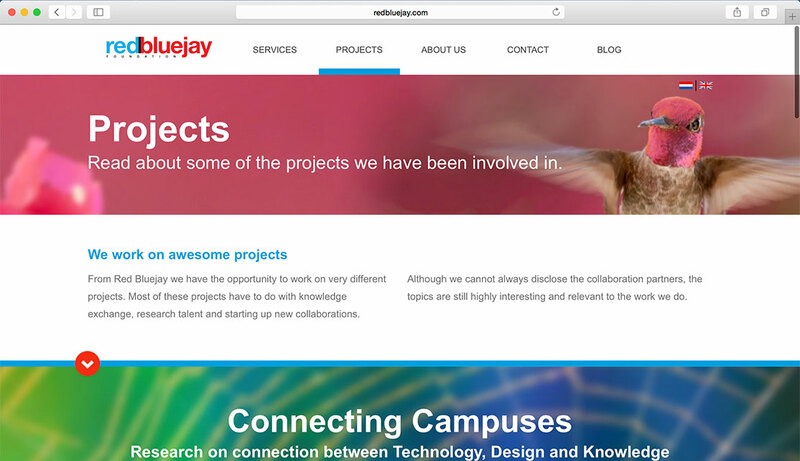 After creating the homepage concept the site began to take shape and we locked in the theme. From the bird metaphors in the headers to the blurred out backgrounds of the sections throughout the site. 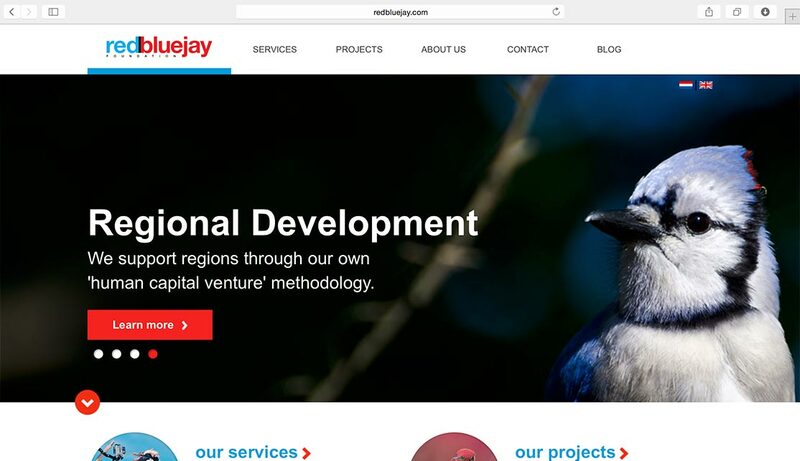 In close collaboration with Red Bluejay we created a fresh modern responsive website for their company. John is one of those rare talents that you wish to every organization that wants to make a difference. Not only is he extremely good at thinking out of the box, he has the drive to not let go until he is completely satisfied. His co-workers love working with him because of his respectful style. In short: we hope to be able to work with John in co-creation trajectories in the future! Thanks, John, it was great and great fun!! We would love to have a chat about your ideas over a cup of coffee. is property of Antonio Media.